Microsoft’s latest quarterly financial results have demonstrated the company’s burgeoning mastery of the cloud business model, according to analyst firm, Technology Business Research (TBR). On 20 July, Redmond revealed its quarterly earnings for the three months ending June, showcasing a top line boasting double digit year-on-year revenue growth for the first time since 2014. Microsoft reported US$23.3 billion (GAAP) revenue in the period, along with an operating income of US$5.3 billion (GAAP), and net income of US$6.5 billion (GAAP). While the superlative awarded to the software giant by TBR should come as no surprise, TBR analyst, Kelsey Mason, has pointed to particularly strong performance in the vendor’s “as-a-service” revenue, which reached US$15 billion in 2Q17. This result put the vendor well on its way to far surpass its “as-a-service” revenue run rate goal of US$20 billion by 2020, according to Mason. At the same time, Microsoft’s growth in Office 365 and Azure premium services, the adoption of new workloads around the Internet of Things (IoT) and artificial intelligence (AI), and a growing mix of Dynamics 365 revenue drove the vendor’s momentum during the period. “Concurrent improvements in cloud “as-a-service” gross margins show Microsoft’s understanding and mastery of the cloud business model,” Mason said. “Complementing ‘as-a-service’ gains is Microsoft’s ever-agnostic approach to enabling and supporting hybrid environments, which allows on-premises server software growth to piggyback on cloud momentum,” she said. 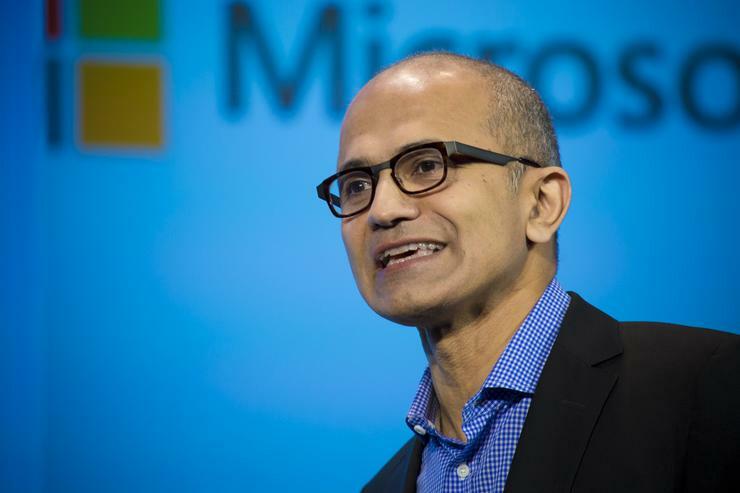 Certainly, Microsoft CEO, Satya Nadella, has put the latest figures squarely at the feet of the company’s rapidly growing cloud posture. It should be noted, however, that Microsoft’s Surface revenue decreased by two per cent, mainly due to product lifecycle transitions. Meanwhile, Mason suggested that recent changes to sales and leadership teams reinforce Microsoft’s priorities – cloud, emerging technology and industries – heading into its new fiscal year, and will help the company better address customers’ digital transformation initiatives. Microsoft's latest financials come as the company looks down the barrel of major organisational changes that could reportedly see thousands of jobs within the company affected. Read more Where do Aussie MSPs stand in Oracle’s global cloud crusade? The reorganisation, which is aimed in part to increase the company's focus on its cloud business, is expected to affect the company’s sales and marketing teams globally, and is anticipated to see somewhere between 3000 and 4000 jobs hit, according to a report by The New York Times. "Today, we are taking steps to notify some employees that their jobs are under consideration or that their positions will be eliminated," a Microsoft spokesperson told ARN on 7 July. "Like all companies, we evaluate our business on a regular basis. This can result in increased investment in some places and, from time-to-time, re-deployment in others," the spokesperson said.